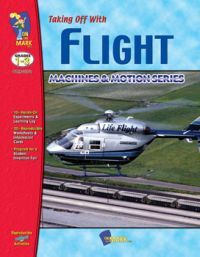 Description: Students will demonstrate an awareness and understanding of the properties of air and principles of flight. Through experiments they will demonstrate an understanding of the effect of forces acting upon one another while they apply the scientific method. Learn how to communicate their findings both orally and in written form. Group work will enable students to apply a variety of strategies to solve problems and record results. 96 pages.